VDSL has provided New Zealand Broadband with the best copper connection and is still available to homes across New Zealand until Fibre is available. Once available in your area, we make the transition to fibre easy. You can keep your current contract term and use your existing Wi-Fi Hub+ modem that works on both our VDSL and Fibre network. MyRepublic scored the fastest ISP streaming time as ranked by Netflix ISP Speed Index – that’s quick as. So what do you reckon, is it time to have your next binge sesh with us? We optimise our network for streaming to give you the best experience. 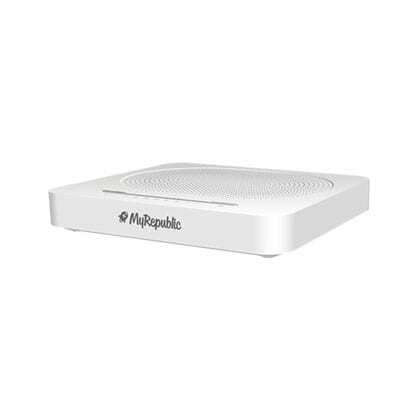 Simply plug your phone into your MyRepublic Wi-Fi Hub+ Modem and experience our ultra-low pay as you go rates and unlimited local phone calls. You don’t need to worry about silly data caps or excess data charges as our plans come with Unlimited data, at one low price. When you need to get in touch with us we are available via phone, email or live web-chat. Our Wi-Fi Hub+ Modem works with both Fibre and VDSL. So when Fibre becomes available at your location, we can switch you over. Choose our no lock in month-to-month plan if you don’t want the commitment or a 24 month contract. Perfect for renters. Our Wi-Fi Hub+ router supports both VDSL and Fibre networks so it’s future proofed if Fibre hasn’t arrived in your area or if you move house. With customers in Singapore, Indonesia and Australia, and now in New Zealand, you can be confident that you are joining the market leader in fibre networks. We’d hate for you to get stuck. Our support team is available weekdays 8am – 8pm and weekends 10am – 6.30pm to assist you.